We all have a house in our area. A house which is decorated for the Christmas holidays with thousands of bright lights throughout the Christmas period every year. It’s something of a local marvel. People walking by wondering how much it costs in electricity bills, and others wonder how they sleep at night with that bright red glow coming from their garden. A photo of an over the top Christmas garden by Taber Andrew Bain, Flickr. These fun little lighting features have been around for years, and are already popular for use on indoor Christmas trees and other interior areas. However, these are now available with waterproofing and solar power! Which makes these perfect for outdoor use. 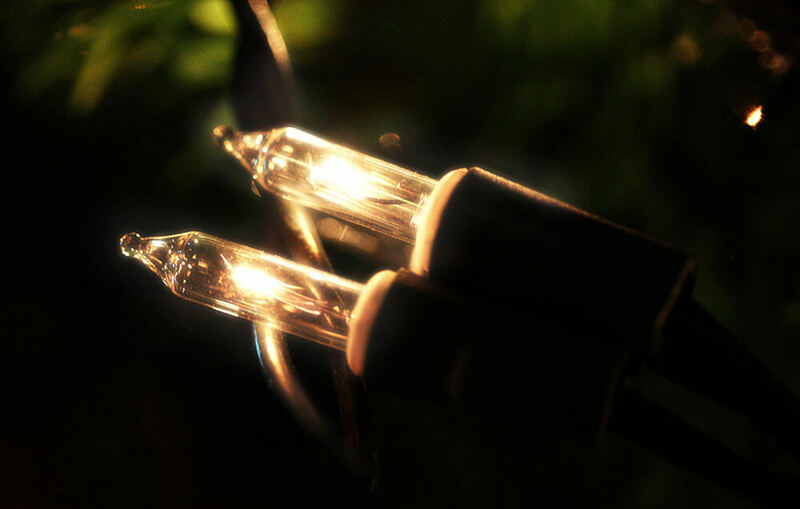 Fairy lights are available in both traditional yellow colours and more modern bright white/blue colours. Depending on your home’s styling, different colouring could work for you. So what can you do with them? Some people use them to create guides along paths during the dark winter nights. However, it can also be highly visually appealing to string these lights along the branches of a deciduous tree, creating your own Christmas light leaves. Candles are a more traditional way to decorate during the winter. There are a few ways to display candles in the outdoors – you have to keep in mind that a naked flame can very easily be blown out by a passing breeze. For this reason we recommend a container that can protect the flame. Many high street shops will sell lantern styled candle holders which protect the flame from the elements whilst also allowing it to breath. Alternatively you could easily recycle old jars, removing the label to create a simple, but effective candle holder. This classic Christmas decoration can add a subtle hint of festivity and colour to your door. These are often available for purchase, but if you have the time why not make your own? Go for a walk and find anything green, fur branches are popular, as well as holly branches and even a little bit of ivy. Create a circle with what you’ve gathered and secure it with twine or wire. For a more muted aesthetic, you could also try using the leafless branches of trees.